Posted on April 24, 2018 by Kelly M.
Camp Registration – The end of school is fast approaching! Summer Camp is great for keeping kids physically active while learning in the off season, and having fun outdoors! 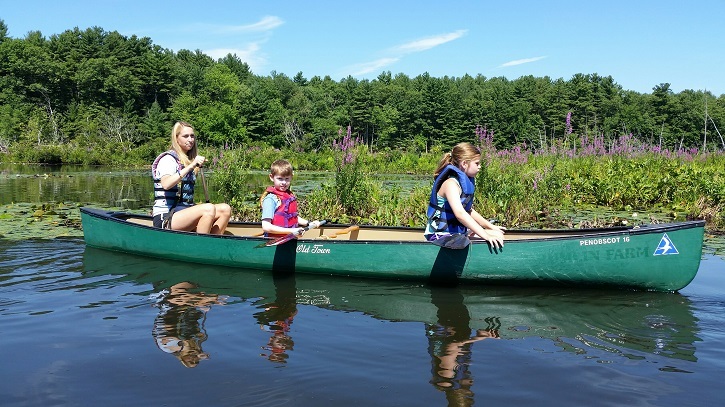 Check out our offsite camps in Sudbury where kids can explore Assabet River ecology by canoe and learn classic camp activities like archery. Spring CSA Beginning – Wednesday, May 16th marks the first day for Spring CSA Pick Ups 12-6 pm. 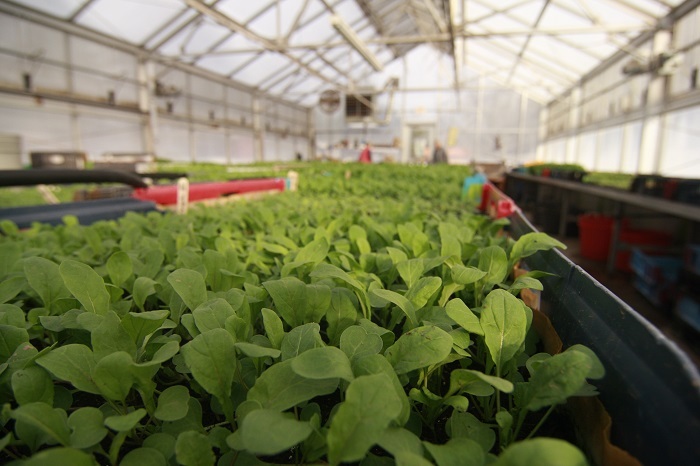 Shareholders will receive tender greens, head lettuces, herbs, scallions, salad radishes, carrots, sweet salad turnips, and (weather permitting) sugar snap peas, strawberries, and beets along with tips, recipes, and updates from our farmers themselves. A limited number of shareholder spots are still available, so if you’re interested and haven’t registered yet, you can do so today. Picking crops during the first week of last year’s Spring CSA. Author Event: Do Doodlebugs Doodle? 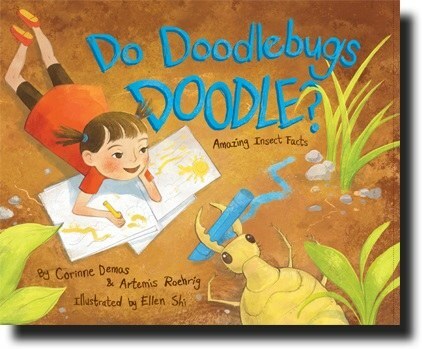 by Corinne Demas & Artemis Roehrig – On Saturday, May 5th at 10:30 am, this mother-daughter author team will be at the Audubon Shop signing copies of their two humorous question and answer books about insects, Do Doodlebugs Doodle? and Does A Fiddler Crab Fiddle? Afterwards, we’ll enjoy visitor education insect programs at 11:30 and 12:30 to get hands on with the lessons learned in this story. 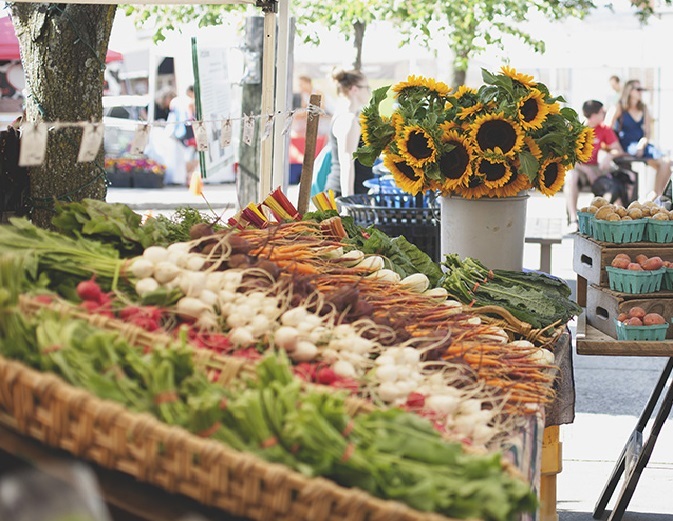 Union Square Farmer’s Market – Drumlin Farm will be at the outdoor Union Square Farmer’s Market starting Saturday, May 12. Stop by any time between 9 am and 1 pm to say hello! We’ll have farm-fresh veggies and viola plants for sale. Bird-a-Thon – It’s time to reclaim our winning title at this year’s statewide Bird-a-thon! 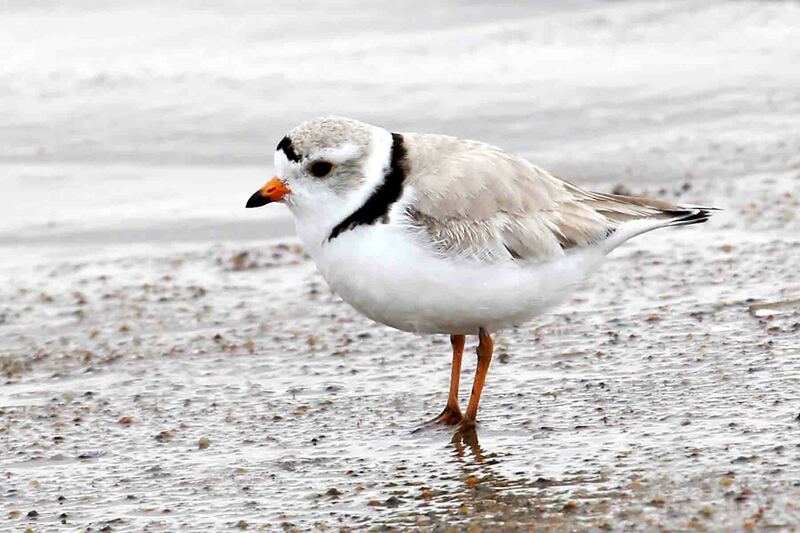 Bird-a-thon, Mass Audubon’s largest fundraiser, brings together supporters from across the state to raise essential funds for nature conservation, education, and advocacy while competing in an exciting birding competition. Adults can join the Drumlin Farm team and participate at Mount Auburn Cemetery and Teens Birders can join in the fun at Drumlin Farm! Hidden Treasures Program sponsored by the National Heritage – Join a Drumlin Farm Teacher Naturalist Saturday, May 19th 10:0-11:30 am to learn about why habitats are so important to local animals. 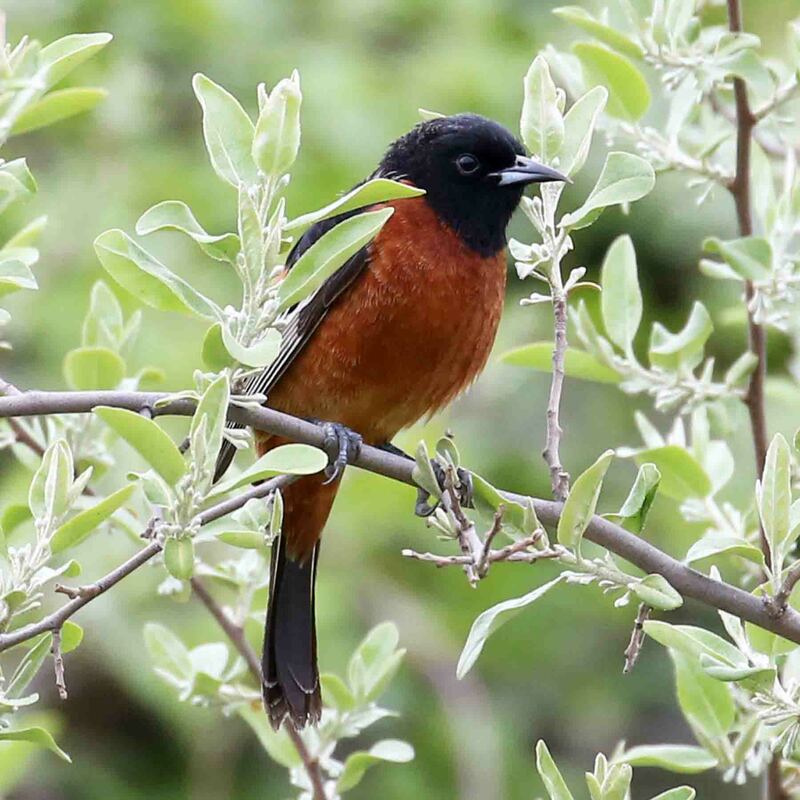 Meet a couple of our resident songbirds then take a walk out to our fields to discover what Drumlin is doing to manage our habitats for farming as well as native animals. 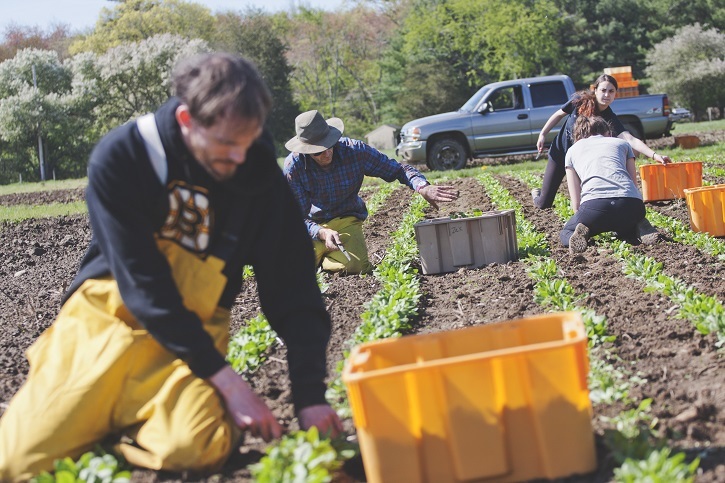 Programs for Adults and Families – As always, Drumlin Farm is jam packed with special programming for adults, children, and families. Little ones can learn about tadpoles, pigs, bugs, and more while adults can take one of our many birding programs or take a tasty nature walk learning about edible plants. The opportunities to engage with the outdoor world are always new and eye-opening. This entry was posted in Events, Programs and tagged bird-a-thon, birding, camp, csa, may, spring, summer camp, things to do on April 24, 2018 by Kelly M..
Posted on January 31, 2018 by Kelly M.
It’s the shortest month of the year but also one of the busiest! Before we’re looking back from March 1st, asking where the month just went and when it’ll warm up, take some time to check out all that’s going on at Drumlin. Will we have 6 more weeks of winter or an early spring? 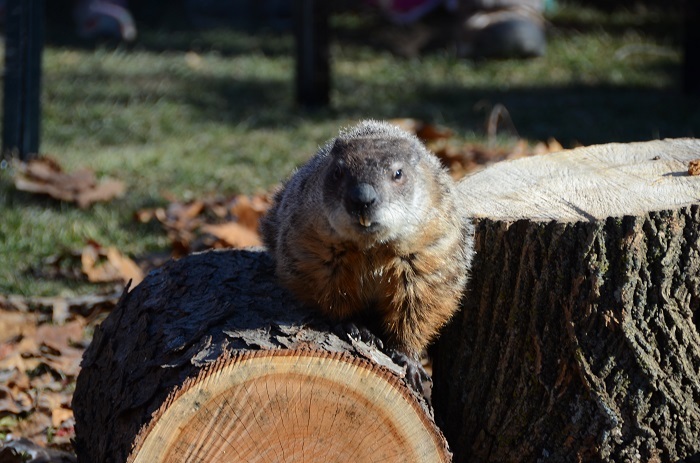 Find out from the Official Groundhog of Massachusetts: Drumlin Farm’s Ms. G! After her annual forecast, explore the sanctuary for new activities and treats. Move over Punxsutawney Phil, here comes Ms. G! Need to get away? This month, we have two out of state birding trips that are sure to challenge your birding skills. Looking to stay local? Sign up for one of our birding programs that focuses on one of our favorite types of birds – raptors. We can’t wait to learn with you! Give your child a fun, unique, and adventurous learning experience that will last a lifetime at Drumlin Farm Preschool. You’re invited to tour the sanctuary, meet staff, and learn more about our program at this upcoming open house. Calling all crafters! 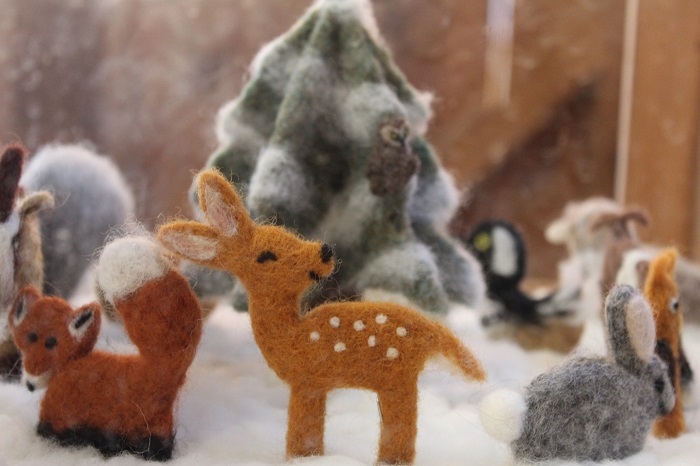 Needle felting is a great way to relieve stress and create something from the heart. Take up this easy to learn, Pinterest-worthy, hobby perfect for practicing during the winter. Doe – a deer – a needle felt deer! Warm stew and cold brew, what could be better? Eat, drink, and be merry with stews made from local, seasonal ingredients, including Drumlin Farm-raised meats and veggies. Wash it down with a variety of beers from local breweries including Jack’s Abby, Rapscillion, and Cambridge Brewing Company. Share your favorite hobby with your growing chickadees. Children ages 7-11, accompanied by an adult, are invited to learn the basics of birding and identifying. Fair warning, though, they may fall in love with it too! Love is in the air! Treat the special person in your life to a unique date at Drumlin Farm. Walk the trails hand in hand and enjoy the beautiful vistas from the top of the Drumlin, overlooking the expansive Boyce Field. Who knew farms could be so romantic? Receive delicious, fresh, seasonal produce from our CSAs. You’ll thank yourself for signing up early when enjoying these fresh ingredients all year round. Our local reptiles have been sleeping, but a warm day in February might wake up a snake! We’ll learn how to slither and slide while we listen to sagas of serpents. We’ll also create a snake of our own to take home. President’s Day is Monday February 19th. At a loss for what to do with the kids on this free Monday? A trip to visit the animals is sure to excite them while keeping their brains engaged and spending important time outdoors. Make February Vacation Week a real vacation with outdoor fun activities! With single-day and full-week options, we’re busy with sanctuary explorations, wildlife visits, and educational crafts and activities all week long. What’s the buzz? 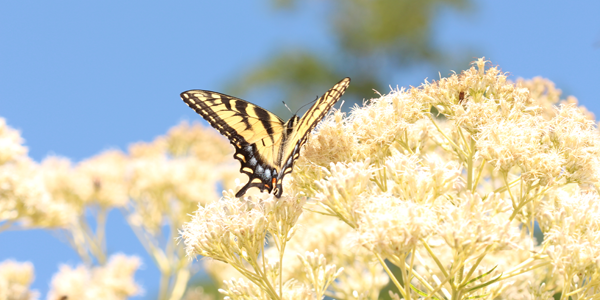 Take action in your life to personally support the hard working pollinators that make so much of our lives possible. Learn the basics of backyard beekeeping and look at honey in a whole new way. This entry was posted in Uncategorized and tagged bees, birding, csa, drumlin farm, February, Groundhog Day, lincoln, local, Ms. G, Needle Felting, Valentines Day on January 31, 2018 by Kelly M.. Written by Drumlin Farm intern Elizabeth R., a high school senior learning about what makes our wildlife sanctuary tick! Nesting right now, we have the tree swallow in the PVC boxes—beautiful birds with green plumage that are infamous for dive bombing those that pass by (I experienced this first-hand!)! 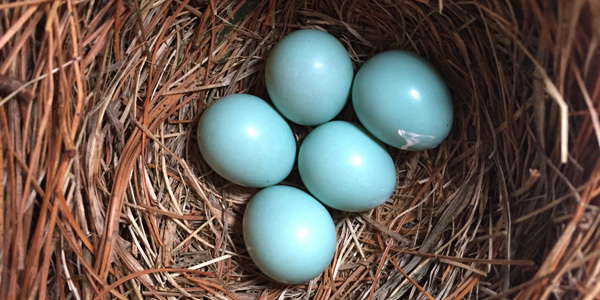 We also have eastern bluebirds nesting—their vibrant blue-green eggs make them easy to spot in the nests. Speaking of birding, yes, you guessed it—the annual Mass Audubon Bird-a-thon is coming up this weekend! Help Drumlin Farm’s team win the very prestigious title of “most species spotted in 24 hours” among Mass Audubon sanctuaries for the 11th year in a row! 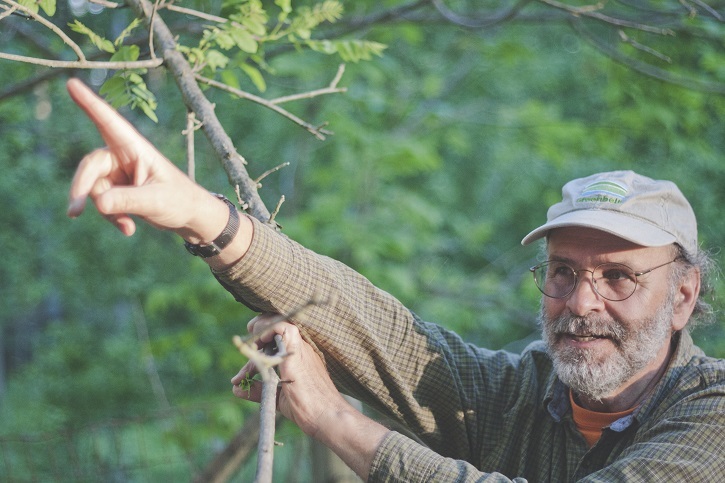 Support Drumlin Farm and our birders by donating here! Ready. Set. Bird! *Visitors shouldn’t approach the boxes, as it could be harmful for the baby birds if their nests are disrupted. 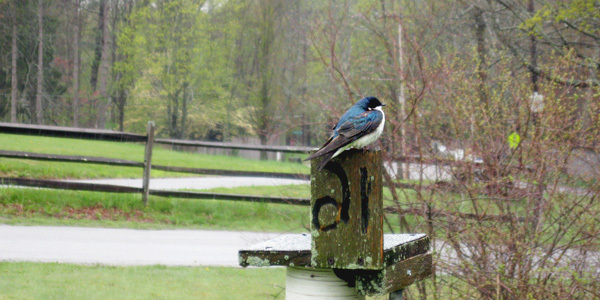 This entry was posted in Education and tagged bird box, birding, drumlin farm, eastern blue bird, eggs, hatch, nesting box, tree swallow on May 12, 2016 by Staff. Remember: Rainy days are a small price to pay for the incoming blooms, bird songs, and sunny skies of a beautiful New England spring. Take a look at our program catalog for a full list of all of our springtime classes. Try a new twist on nature play using LEGO bricks! We’ll warm up with some design challenges to spark our creativity, then head outside to gain inspiration from nature, studying the habitats of Drumlin Farm through the eyes of an engineer. This field trip will be paced so that everyone has plenty of time to see the birds and to work through the identification process. 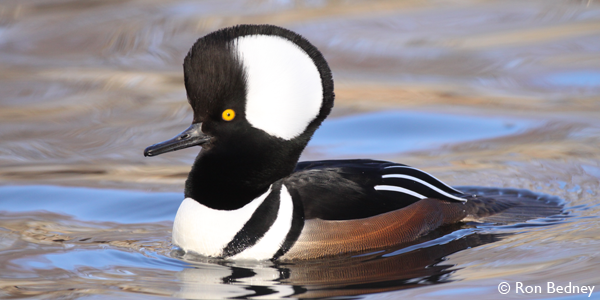 This is a fantastic introduction to all of our spring birding programs! We’ll cover habitats across the sanctuary from wetlands to uplands as we look for amphibians, reptiles, mammals, flowering plants, trees, shrubs, lichens, fungi, insects, and birds. Learn the age old tradition of sourdough bread making in this hands-on workshop. Practice each step of the bread making process as we mix, knead, and shape bakery-quality loaves to taste and take home. 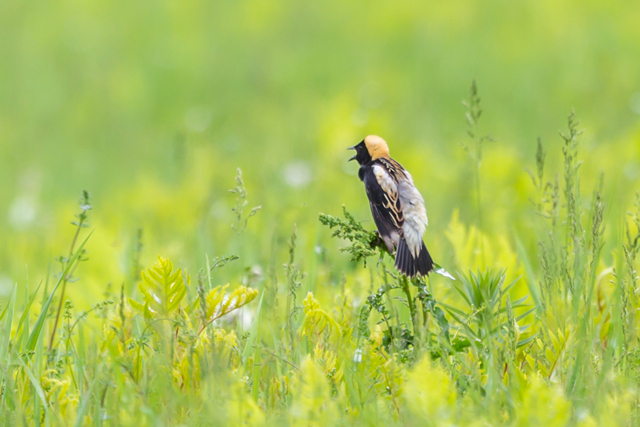 Spring migrants and returning breeders establishing territories offer wonderful opportunities for a tremendous variety of sounds to learn and practice. This entry was posted in Animals, Education, Friday to Friday, Programs and tagged birding, bread, LEGO, sourdough, spring on April 13, 2016 by Staff. And the 2015 Bird-a-thon Winner is . . . Drumlin Farm! Martha’s Vineyard and all points in between. After 24 hours of exhaustive searching, Drumlin Farm team captains Kathy Seymour and Strickland Wheelock spent the evening gathering field reports. Good identification skills, combined with being in the right place at the right time, helped our birders find spring rarities such as white-faced ibis, little blue heron, harlequin duck, Manx shearwater, northern goshawk, glaucous gull, black tern, black skimmer, common murre, red knot, warblers (including orange-crowned, cerulean, hooded, and Cape May), and vesper and Lincoln’s sparrows. In addition to Drumlin Farm, several sanctuaries fielded excellent teams and the competition was fierce: Moose Hill in Sharon came in a (very) close second with a total of 220 species spotted, followed by Ipswich River in Topsfield, who counted 217. Congratulations to our fellow sanctuaries and their amazing supporters! All told, Drumlin Farm birders raised $50,000 to support our sanctuary’s programs and projects. We are heartened by the support we received and wish to thank all birders and donors involved in making this another successful Bird-a-thon for Mass Audubon! 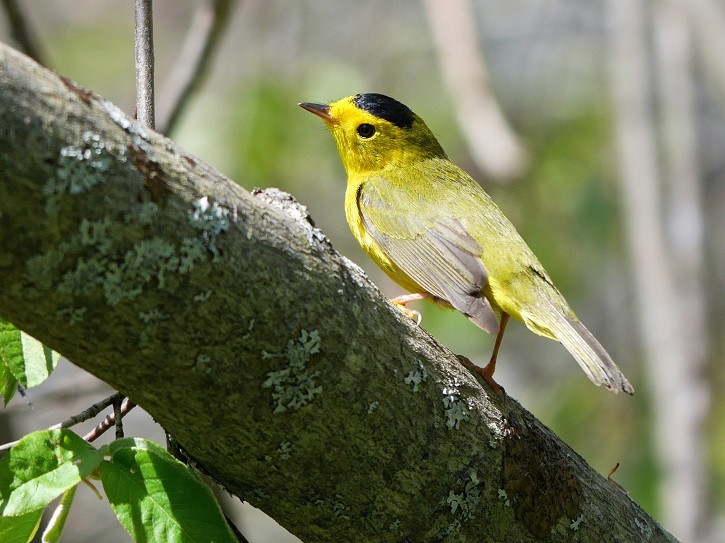 To learn more about birds and birding programs, sign up to receive two of our popular e-newsletters: Drumlin Farm’s Birders Connection and Mass Audubon’s The Warbler. Or, head on over to the Birds & Birding section of our website. This entry was posted in Events and tagged bird-a-thon, birding, birds, fundraiser on June 25, 2015 by Heather.